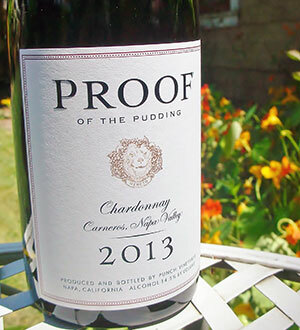 NEW from Punch Vineyards: "Proof is in the Pudding" Napa Carneros, Chardonnay 2013. Sunset International Wine Competition Gold Medal Winner 2015! Enjoy exquisite summer sippin’ with our first ever release of Chardonnay, a wine I didn’t want to make – until I tasted it! Thanks to Miquel we now have a Chardonnay like I have only dreamed about for 20 years. Just 100 cases for Insiders available now! Punch Vineyards Cabernet Sauvignon is made by a small group of Napa Valley artisans whose careers were built producing top-rated wines for prestigious vintners. We got used to sipping from the golden chalice, all in a day’s work – reserve blending trials, “aging checks” of library vintages, and of course comparative tastings of Napa Valley’s best. To monitor quality in more real life settings – like our back decks – we raided the occasional bottle from the QC lab. Or better yet, from the “secret” Public Relations stash. Then, we traded our booty with friends at other wineries. Yet, we could not afford to buy the wines we created! Oneday, in an oddly practical moment, we realized, “Hey, why not use our know-how and insider network to make a great wine that we and our friends can actually buy.” The “who’s who” of some of our group must remain a trade secret, but here we are… Punch Vineyards. For our mascot, we chose Punch the California Grizzly. We like to think of him as tough but playful – with an uncanny sense of taste. Our goal is to make the best Cabernet Sauvignon we can that is affordable for an average Saturday night. Punch Cab is a smart choice, offered by industry insiders, utilizing hush-hush vineyard gems and savvy winemaking. Our business plan is simple: we’ve been around the block. If we like it, you probably will, too. Produce outstanding Napa Valley Cabernet Sauvignon. Produce affordable Napa Valley Cabernet Sauvignon. Copyright © 2018, Punch. All rights reserved.